Machinekit already runs on x86 machines, the BeagleBone, and the Raspberry Pi. Now GP Orcullo reports he has Machinekit running on the Odroid C1 using rt-preempt. There are no hardware drivers yet, but it shouldn't take long to port GPIO access and get some motors moving. If you're interested, there's a link to a bootable Debian Wheezy image in the Machinekit list post. I'm anxiously waiting for boards based around all the new Big/Little parts coming out, which combine Cortex-A cores for good OS performance and Cortex-M parts for real-time tasks. 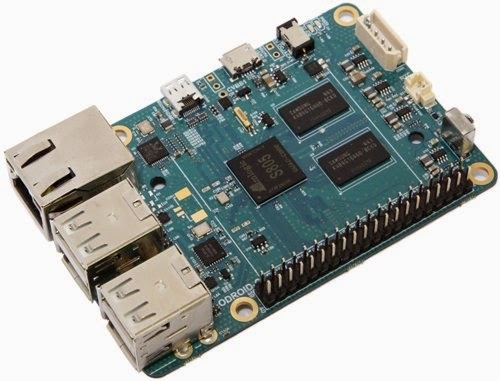 Then there's the BeagleBoard X15 coming out soon with Big/Little + DSPs + PRUs! Exciting times in the ARM world!